In Yup’ik Eskimo belief systems, animals and other aspects of the natural environment are often included as players in the human social world. This project aimed to identify and catalogue artefacts that have anthropomorphic and/or zoomorphic features, indicating their animate nature, in the Yup’ik material culture to determine how their forms and meanings have transformed overtime. Late prehistoric materials from the Nunalleq archaeological site were compared to historic Yup’ik ethnographic collections, informed by close collaboration with the Yup’ik descendent community. The Nunalleq site was occupied circa 500-700 years ago, and is currently the scene of the largest archaeological excavation to have taken place in the Yukon-Kuskokwim Delta region of Alaska. The waterlogged and frozen tundra has led to the excellent preservation of organic materials and the recovery of rarely recovered artefacts such as anthropomorphic and zoomorphic figurines. 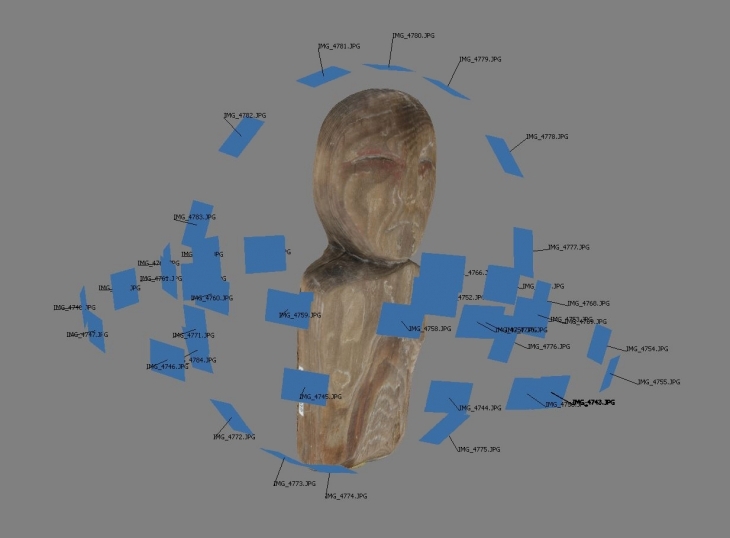 The selection process of artefacts included in this research has been influenced by traditional Yup’ik worldviews and aims to proceed with a Yup’ik centred research approach by working collaboratively with Yup’ik people in the field and through the inclusion of Yup’ik voices, via recent ethnographic resources and a blog featuring 3D digital models of the artefacts relating to this specific research. This project works in close association with the larger Nunalleq project in which the University of Aberdeen Archaeology Department has partnered with the village corporation Qanirtuuq, Inc and the Yup’ik village of Quinhagak, to carry out excavations since 2009. For more information about the Nunalleq project please refer to their blog http://nunalleq.wordpress.com/.